Look who was hoppin' down the bunny trail in a local store this week. It seems to me that holidays are coming faster and faster this year. 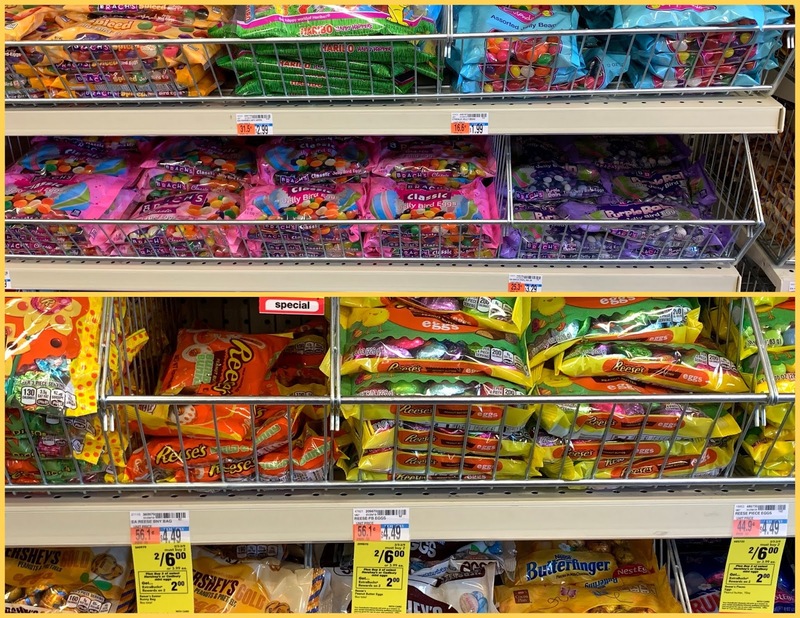 An earlier post noted that just days after Christmas 2018, holiday goods were discounted on store shelves alongside Valentine treats as Feb 14 was just 6 weeks away then. Now, Valentine treats are being upstaged. 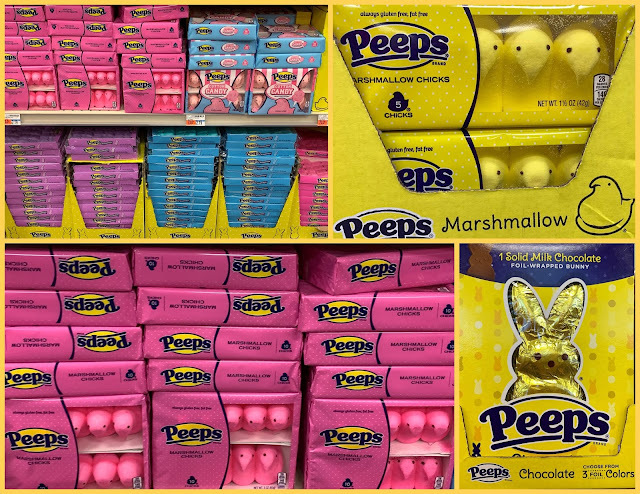 This week, I spotted lots of color choices available for marshmallow "Peeps" — now there's chocolate "Peeps" too. 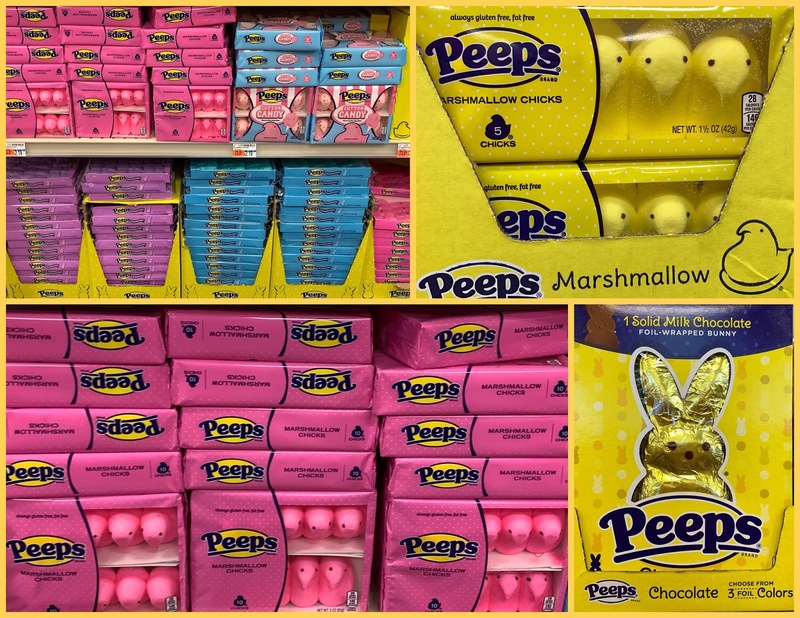 (Remember when choices were yellow marshmallow chicks and chocolate marshmallow eggs? 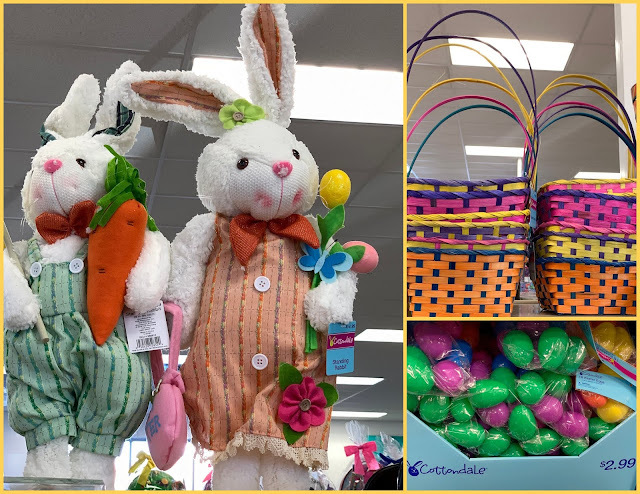 After all, Easter is only 11 weeks away (April 21), so it's not too early to start filling those baskets according to retailers. St. Patrick's Day didn't merit similar shelf space, except in our local dollar store, which had lots of plastic trinkets. Are the holidays coming way too fast for you as well this year? Stay clear of any bunnies or chicks. Indeed, they are! I think I’m going to skip a few holiday themes! I love fall and Christmas and spring.....and in the summer the red white and blue! I’ve decided to not go nuts over Valentines and the fluff that surrounds Easter. Easter is meaningful for me because of Christ. I don’t know but all this seasonal holiday stuff is getting ridiculous. And why leave out St. Patrick’s Day? Times have sure changed! You'd think they could at least wait until next Friday. They're coming faster in the stores. We could ignore the early display on the shelves. I do that, I'm not in the commercial game. time is on fast forward. I don't even look at the holiday displays, I don't eat it and I don't decorate so was not aware the easters is out. when the kids were small I would have looked. I stopped Easter baskets 40 years ago. my mother would have done one until the day we all died. she would love all the displays they have now and be glad it was early. give her more time to gather it all in..
Peeps are just too sweet. I miss making Easter baskets for my kids. The Easter candy has been in the pharmacies here for at least a couple of weeks, edging into the Valentine's market. I haven't been in a department store for weeks, at least the sort that would have that kind of decoration. Days that used to be ho hum and passed over are now used to hawk more candy. Yes, time does fly. It was never thus when I was younger. Never mind, it will soon be Christmas!!!! My goodness where is the time going? Those bunnies are so cute! Yes the holidays are always catching up with me too fast! Everything comes and goes fast these days. I actually read an article why that happens to older people but I can't remember the scientific reason. It makes me mad the way retailers bombard you with all the rubbish to celebrate the holidays. I feel sorry for parents shopping with young kids.